Whether you’re looking to buy a brand new business or to buy an existing business Jim’s Mowing has an option for you. Or you can purchase a split from an existing franchise. In any case, Jim’s Mowing offers it’s famous Paid For Work Guarantee. If you are interested in becoming a Franchisee please call 1300 975 430 and one of our friendly customer service staff will assist you with your enquiry. Or click on the button below to complete the franchisee inquiry form online. 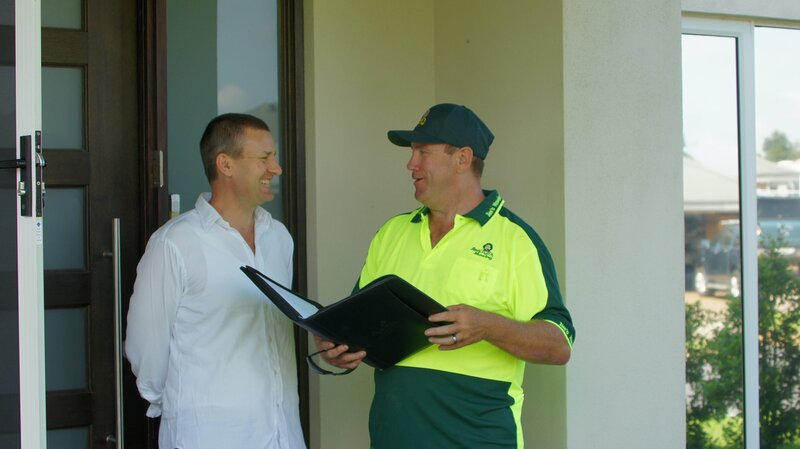 In any case, be sure to get first hand advice and input from our franchisees direct. 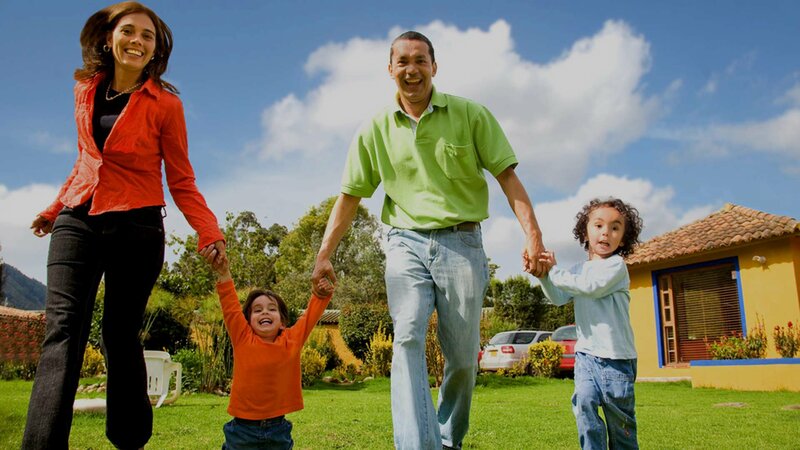 We have a range of franchisee testimonials where you can see the impact Joining Jim’s Mowing has had on their incomes, lifestyle, health and probably most importantly, their families. A Jim’s Mowing franchisor offers an attractive mix of both lifestyle and income. Take these 8 steps to joining Jim’s Mowing and you can start taking control of your life. Register here to get The Franchise Information Kit. Book a time to have a personal one-on-one consultation over a coffee with a Franchisor. Spend a day in the field with a Jim’s Mowing Franchise. Discuss with The Franchisor some business options. Meet Jim and complete the training course in Melbourne. Organize to have documents issued on the business you wish to purchase. Sign Up, Start your business & Start earning money from day 1. Obviously, this means different things to different people. We certainly have a great team with a lot of depth. Recently, our ability to help our franchisees deal with the changing OH&S certainly reflects this. But looking at it from a purely “nuts and bolts” analytical position, Jim’s has two major strategic advantages, namely the cheaper cost of customer acquisition and size, and a focus on putting franchisee support above all other priorities. Jim’s has the cheapest cost of customer acquisition, which means that it cost us less to get our message through, and customers through the door. The Jim’s brand, reputation and its awareness in the marketplace, means that many people call Jim’s each year just based on awareness and reputation. This is a large strategic advantage as we do not have to pay large advertising costs to get that lead. By joining Jim’s, you get to take advantage of the 25 years of marketing and branding that we have engaged in. The other and most important success determinant resource is you. The Jim’s system invests time and resources both at the State and National level. You receive a monthly contact call, where we gauge how you are going and what assistance we can provide you. We also have monthly group meetings and workshops, along with information and coaching newsletters. The goals of all these activities is to help you build the best business that you can. It is one thing to work hard, but true results come from direction on what to work on and when, and operating under correct knowledge. 2What is the risk of going into business? Starting any business is a significant decision and there is always risk involved. We do not promise that you’ll get rich fast. On the contrary, this is a real business that requires real work. But if you put in the effort, the rewards can be outstanding. To help, you have the support of the founder Jim Penman and over 1,500 franchisees that have done what you are hoping to do. While your success is not guaranteed, you will be part of the largest mowing franchise in the world, where people join together to find success. Please take your time to do your research. Speak with our franchisees and find out the truth about how much money they make, how they got started and how much time and effort they put into their business each week. Best yet, arrange with us to spend a TRIAL DAY in the field with one of our trainers. 3Can I Try Before I Buy? Absolutely. We thoroughly encourage it! Spending a TRIAL DAY in the field with a current franchisee is an opportunity to experience first-hand what it’s like to run a Jim’s Mowing franchise. Working alongside the franchisee you will see how our system works have access to the inner workings of the business. 4How long before I can get back the money I invested? What are splits? This is what that many of us look at when getting into business. One way to do this, is to look at the revenue and allocate a week amount out of it. The other way is to look at a Split. A split represents excellent value for both buyer and seller. They allow you to split your business into two, and sell one of those halves. The amazing thing about this process, is that it allows you to turn the potential disadvantage “growth ceiling,” (being an owner operator means that you only have 40 hours in a week), into a fantastic opportunity for you to get back your original investment, or more through multiple splits. In fact, by working splits into your growth strategy, you could literally keep growing for ever. Have to pay top dollar for all your equipment without the buying power of the Jim’s Group (probably worth tens of thousands of dollars in the set up stage alone). Bear the cost and frustration of having to work out all the systems alone – including difficult things like legal and OH&S requirements that could end up costing everything if you get it wrong. Have to operate without any brand identity and spend years building trust in the marketplace. Scrounge for customers from day one without the support of Jim’s Marketing Systems supplying ready-to-buy leads every week. Rely on your own resources with no ‘Pay for Work Guarantee’ to see you through your start-up period. Risk everything as you struggle to learn hard lessons without being able to benefit from the ‘expensive’ experience of others who have already had these problems and solved them. Have nobody to call when you have a problem. Probably earn a lot less money (Jim’s Mowing Franchisees typically earn 20-40% more than independent mowing contractors). 6What are my investment options? Buy a part of an existing franchise business (called a “split”). Each option will involve a different level of investment. In any case, Jim’s Mowing offers its famous Paid for Work Guarantee. 7Is there Finance Available to Help Me Get into the Franchise? We have a few different finance options to help you. Our affiliate, Jim’s Finance has helped hundreds of people become franchisees and we also work with finance brokers who make the process of financing the business an easy process. From time to time when the demand is so great for an area that really needs a franchisee, we have part vendor financed the business to get it up and running as this benefits not only Jim's Mowing but can help someone who has had finance issues get involved in our franchise system. 8How Long Does the Training Take? When can I start earning money in the business? There is a compulsory week of training held at the Jim’s Group national headquarters in Mooroolbark, Melbourne. This gives you a great insight into the franchise and how it all works. The training is also designed to help get your business ready from day one with all the information provided to assist in your ongoing business success. There is also a three day “hands-on” orientation training in the field with one of our Jim’s Mowing trainers. The trainer will take you through how to quote along with giving you some much needed practical training to help get you job ready. Then there is the transfer period for those who have purchased customers. This normally takes one to two weeks depending on how many customers you purchase. From the time of commitment through the mandatory “cooling off” period, the paperwork and the training it is typically around 5 to 6 weeks until the actual start date. 9Is There An Income Guarantee? Yes. Our powerful Paid for Work Guarantee (PfWG) is available to you as a “safety net”. Starting a new business can be tough financially. Firstly there is the outlay to get things started. Then there is the initial growth stage where you have yet to have enough clients to give you a full income. That’s where the Jim’s Paid for Work Guarantee is so valuable. In return for giving away free or discounted services to qualified prospective clients, Jim’s will pay you for your work. It’s an easy way to help you market your services and it’s a great way to ensure that you earn adequate money in the early stages. To find out more about our Paid for Work Guarantee, please get in touch here. 10Will I Get Enough Work? Diligently and consistently managing the amazing Jim’s Computer System is a key to getting leads and therefore the prospect to turn the leads into customers. The state-of-the art computer system allows you to select the times you want to work, and combined with the services that you are qualified to perform and the areas (suburbs) you can cover will maximize your opportunities. A Jim’s Mowing franchisee will typically get between 150 and 250 leads in their first year of which we would expect 1 in 3 would become a regular customer so in your first year you should have between 50-80 regulars after your first 12 months in business. The Jim’s Mowing System along with, pick-ups and referrals build on top of any customer base you may have purchased when starting out in business. Usually after 3 to 6 months in business you will require less work as you fill out your working schedule. 11Will I Need A Trailer to Run the Business? No, you don’t. However, clearly a vehicle to transport your equipment is a necessity. Several options are available with trailers of varying sizes, a flatbed style Ute, a van and in some cases a small lightweight truck. In many suburbs a trailer is simply not practical. As a bonus, a sign-written vehicle is actually a mobile billboard and this helps bring in walk ups and to drive business in the area as people see you doing good work at their neighbours’ properties and we usually get calls from others in the same street when a Jimbo has left a job looking amazing. 12What Are The Fees I Will Have To Pay? Fees are central to all franchising systems. However, unlike the majority of franchises where fees are calculated as a percentage of sales and the more you earn the more you pay, Jim’s charges a flat monthly fee. There is an affordable weekly fixed fee that includes your franchise fee and your advertising contribution. There is also a cost per lead ranging between $9-12 depending on your state. This is the variable in Jim’s Mowing as the more leads you take the more you pay. Please speak with your Regional Franchisor for more information. Our aim is to train you to become self-sufficient and less reliant on the leads in our system as you build your franchise. More than half our franchise owners after 3 years don’t need more work from us as they have lucrative businesses with ongoing referrals they self-generate. 13What Happens During The Winter? Mother Nature has determined that in winter the grass will be growing slower. The winter is a period that can be of concern, however; as you build your business we train you on other services that you can offer customers to continue to generate income during the times when mowing slows. ……the list keeps going on. We have also found that some of our best franchise owners have started during winter so they get to understand how the business works before things get too busy to get the right fundamentals in place. 14What are the Potential Earnings of A Jim's Mowing Franchisee? During 2014 the average Jim’s NSW franchisee had gross earnings of $117,000. That means that some franchisees made a lot more. The Jim’s opportunity is a business, a franchise system, not an employment or sub-contract agreement. When you become a franchisee, you set your own prices, collect all monies and actually build your own client base and goodwill (with support from Jim’s). So really the sky is the limit as to how successful you can become. No guarantees. Your income level is dependent on the time and effort you put into your business and the lifestyle you wish to achieve. 15What Is My Upfront Investment to Buy Into the Jim's Mowing Franchise? A business that is bought with no customers starts from $38k and a business with customers starts from $45k. The amount depends upon the regular cut value you purchase when you buy into the business. Lease to buy options on equipment, trailers and more can reduce the amount of initial cash outlay significantly. You should consult with your accountant or tax advisor for details. 16So Where To From Here? We would like to meet with you (and your partner/spouse if possible) in person to talk about what you want and what a Jim’s Mowing business offers. So much as you need to assess the Jim’s Mowing opportunity, we need to assess you. We want to make sure that we are the right suit for each other. We would then get you out with one of our franchise owners so you can see what it is all about. You will get to ask one of our franchise owners all the good bad and ugly about Jim’s to see if it is a good fit for you. We will also get our local trainer to give us feedback as to how they believe you will go in the franchise and if you showed the attributes we look for in a franchisee. Complete the form below or call 1300 975 430 [8am – 8pm – 7 days] to receive your free copy of Jim’s Mowing Franchisee Information Kit. One of our Franchisors will contact you about opportunities in your area to Join Jim’s Mowing. Being my own boss is fantastic, I have more time with my family and set up my hours around our needs. The franchisors are only a phone call away, if I ever have any questions or need anything. I now make double the money in half the hours which means more time with my family. The professionalism of the Jim’s Group very much impressed us. People trust and respect the Jim’s name, and that has helped us to grow our business very quickly. The help and support has been terrific!